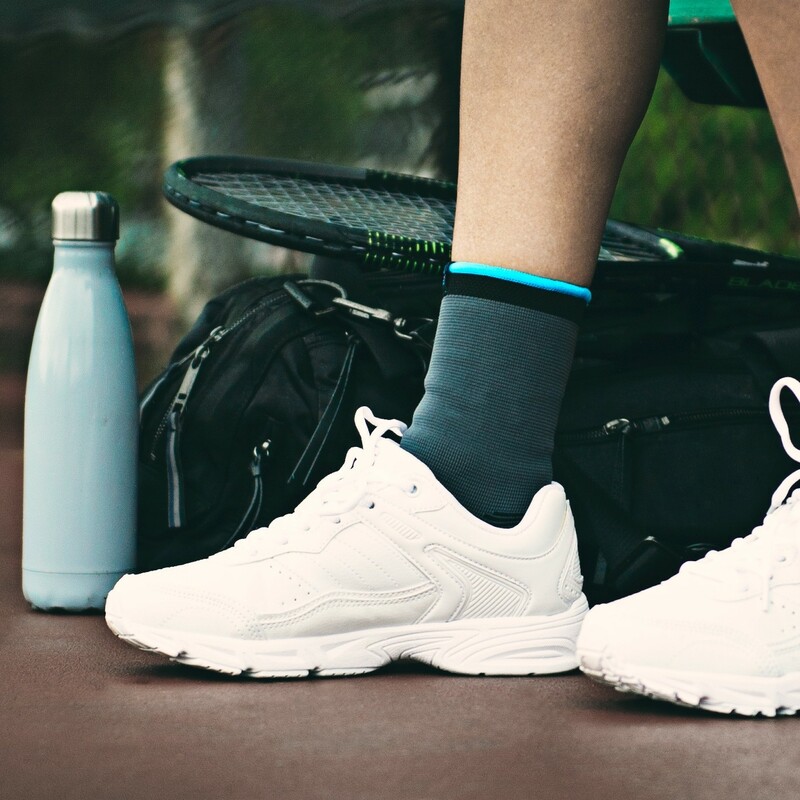 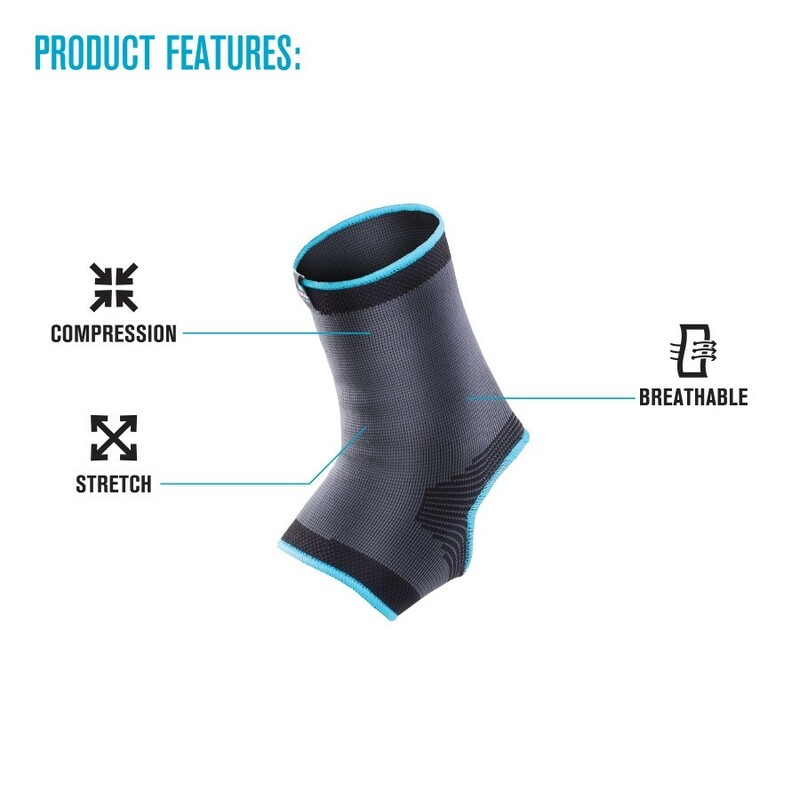 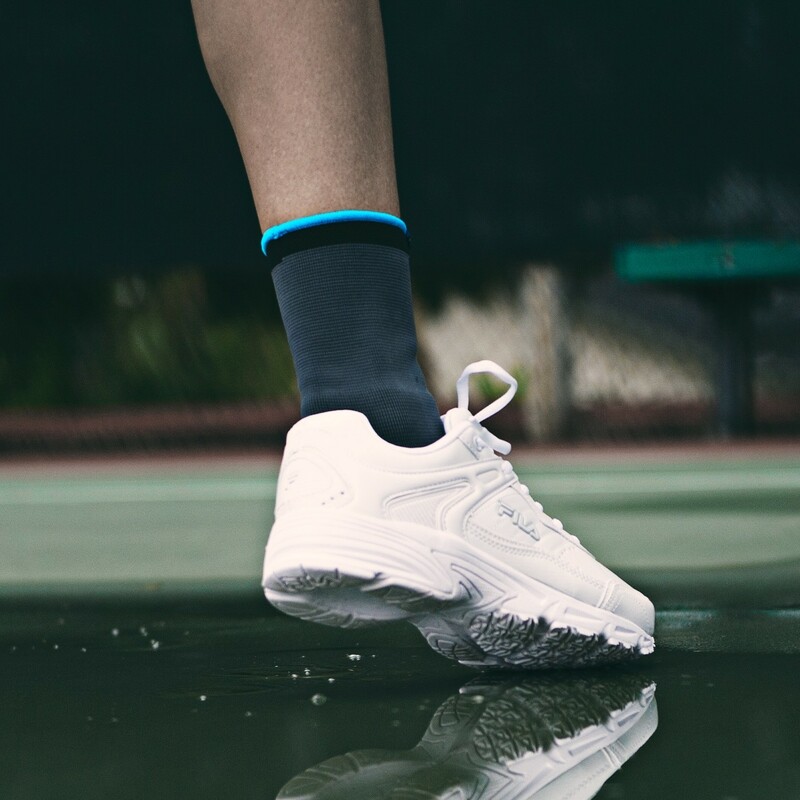 Lightweight knit ankle sleeve for compression and mild support. 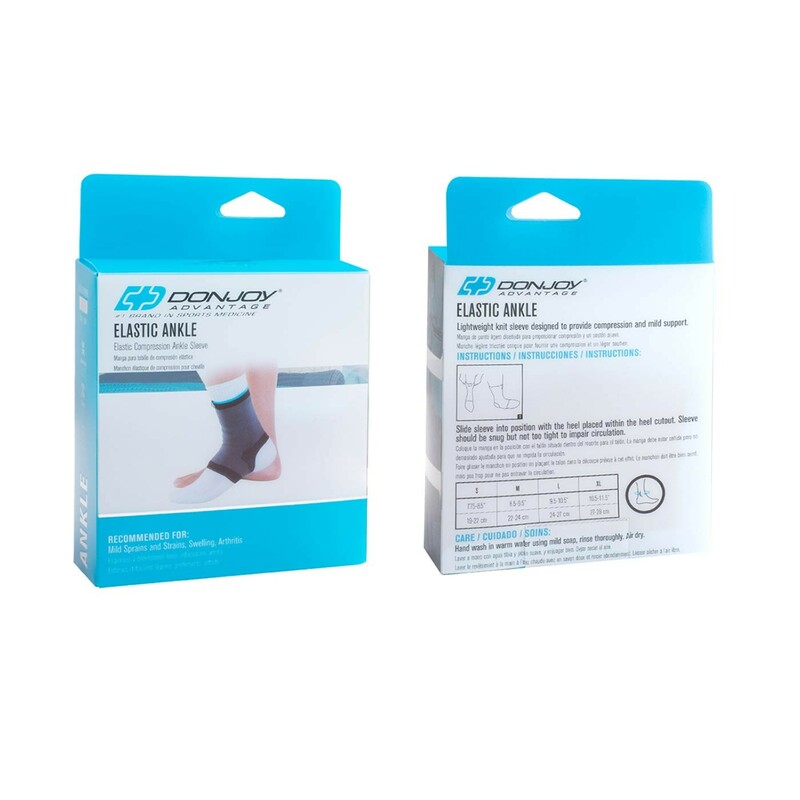 The DonJoy Advantage Elastic Ankle delivers mild support and compression for injuries such as sprains, strains, swelling or arthritis. 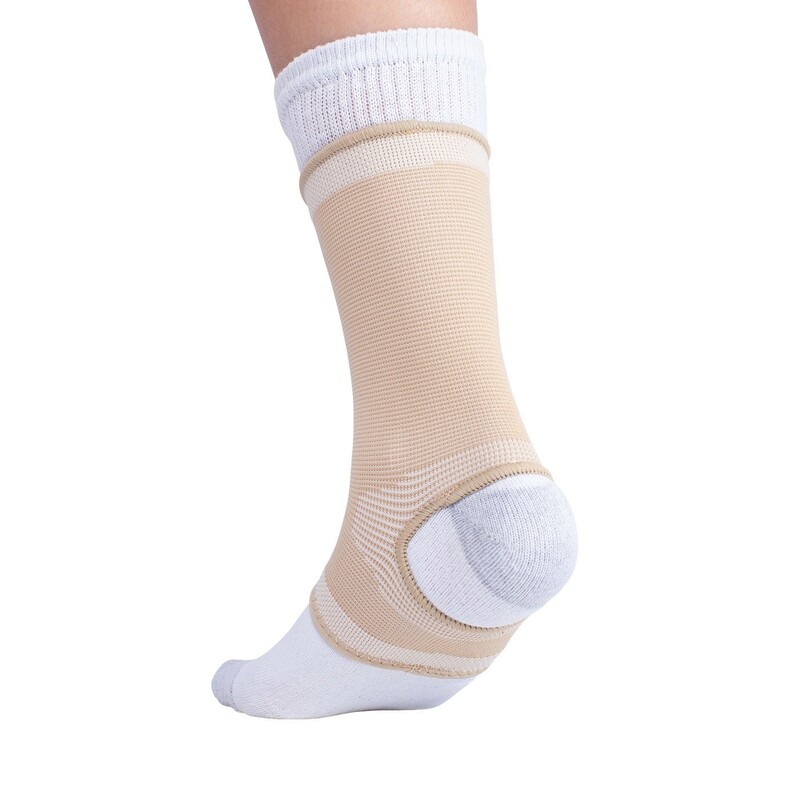 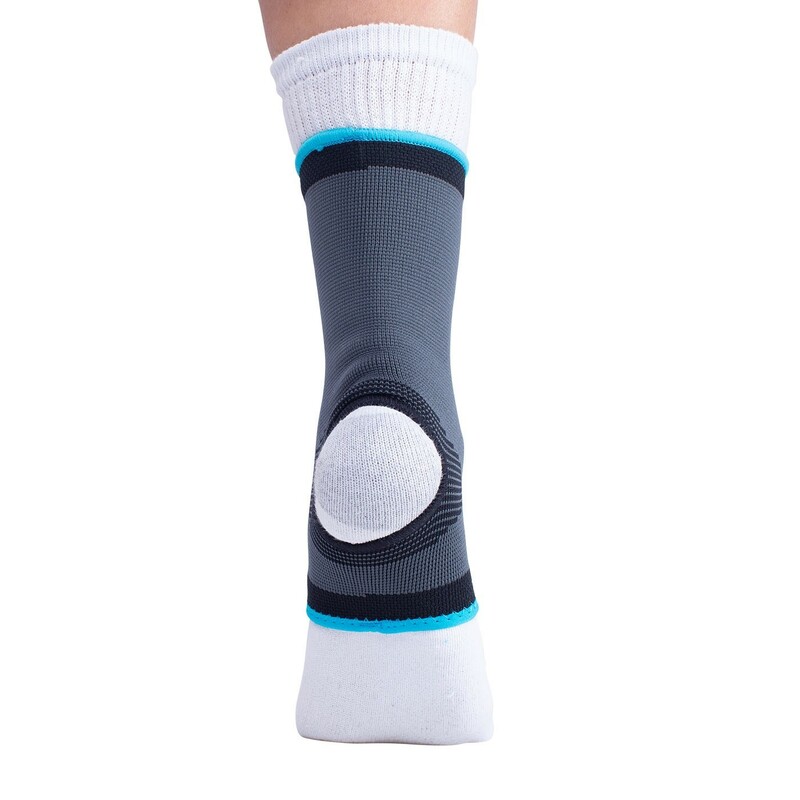 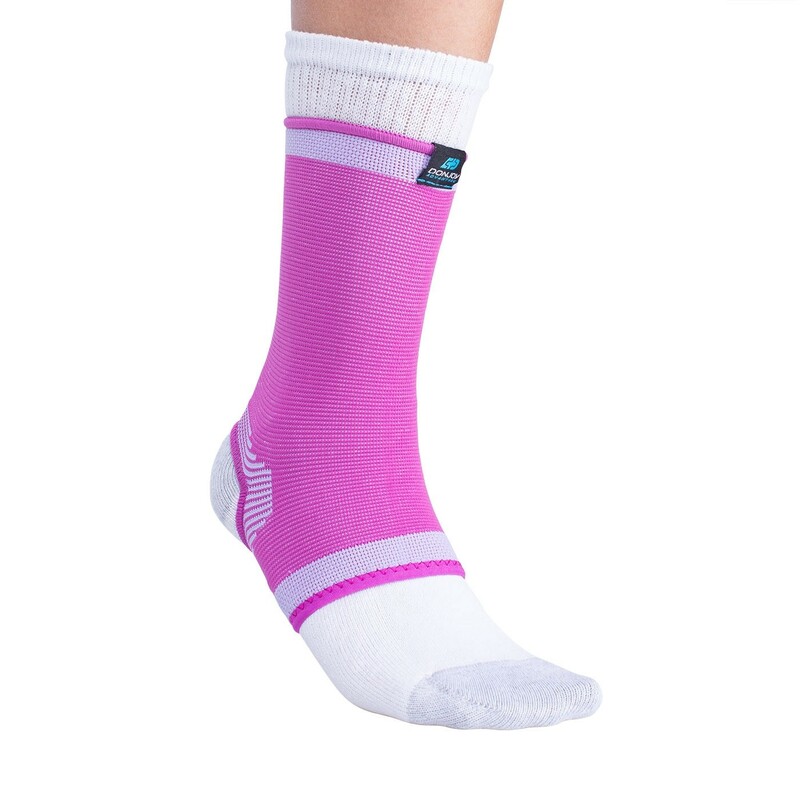 The elastic knit construction provides excellent compression and breathability, which helps reduce swelling. 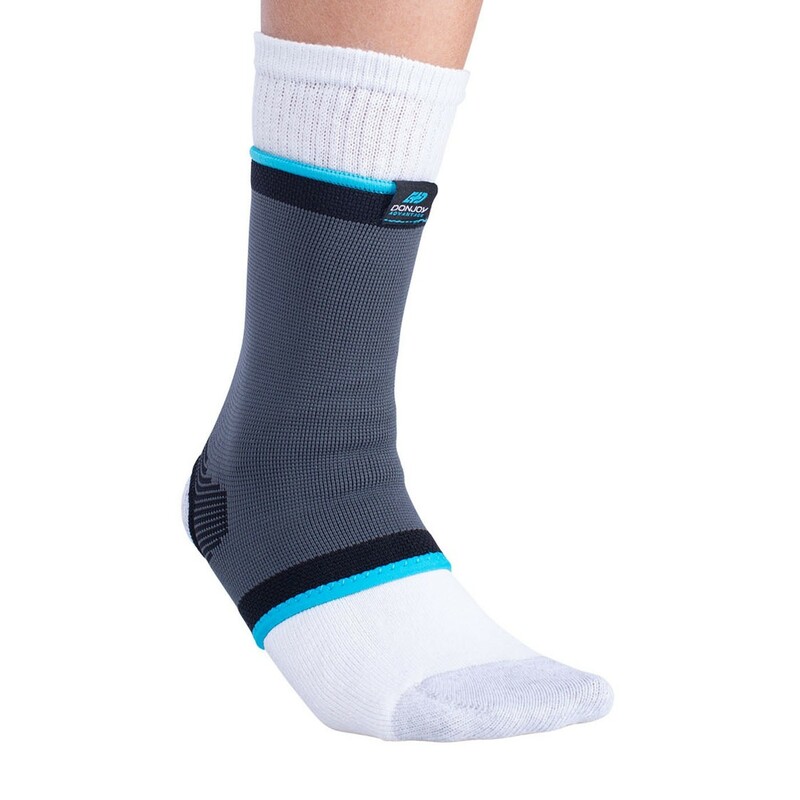 With an enhanced fit and expansion panels, the Elastic Ankle doesn't limit your range of motion. 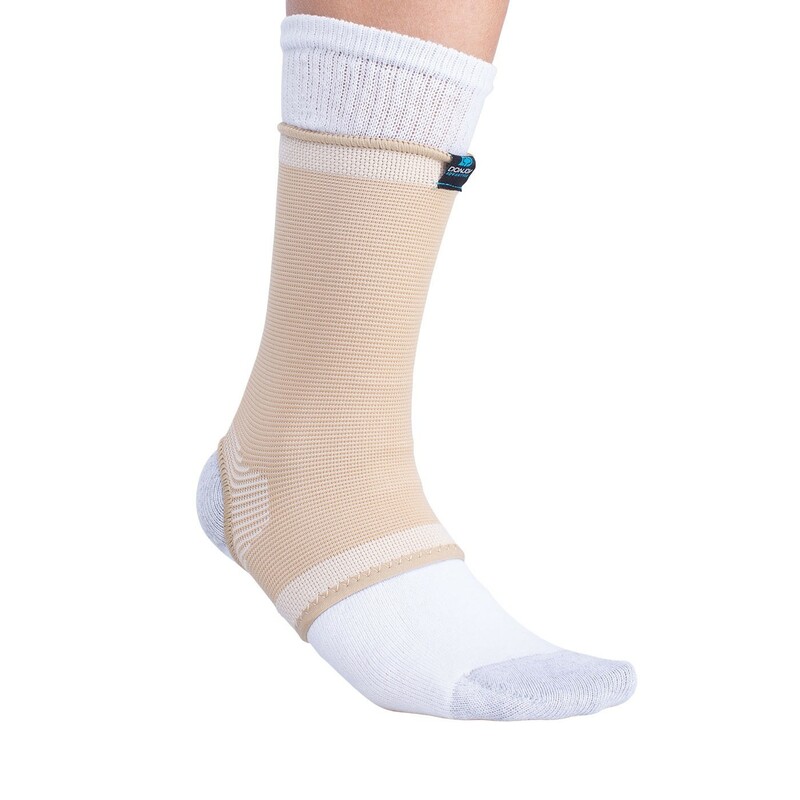 This low-profile, lightweight ankle sleeve supports your ankle during day-to-day activities while fitting comfortably in any shoe. 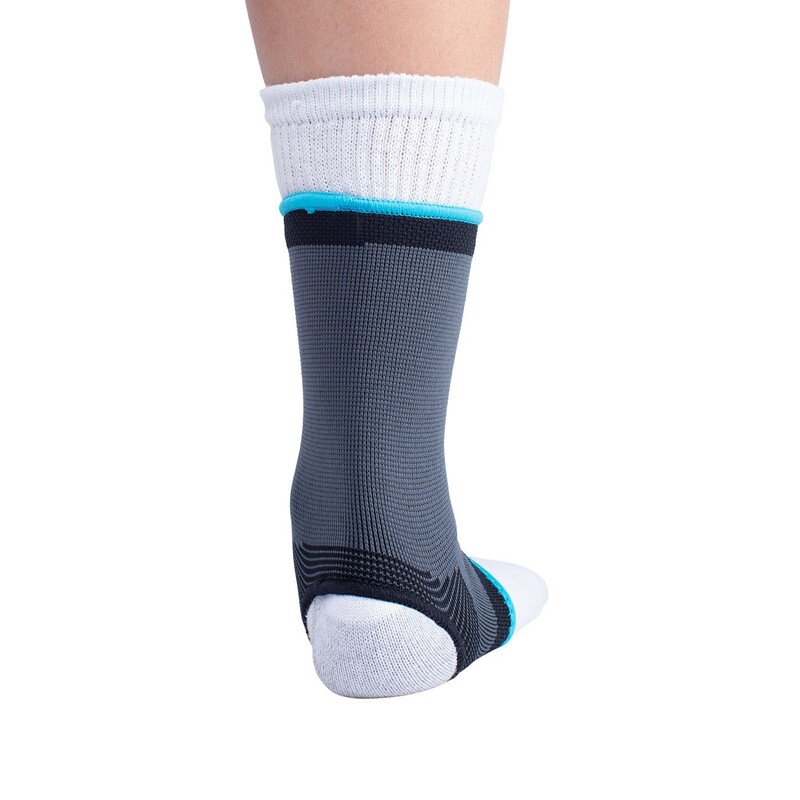 The Elastic Ankle is a slip-on design, making it easy to put on and take off. 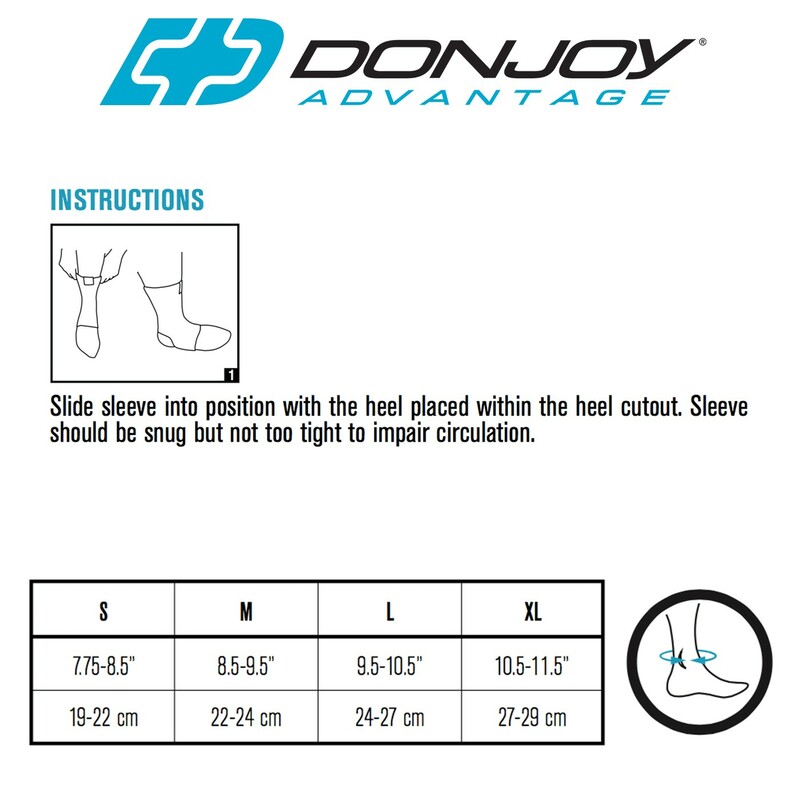 Size is based on ankle circumference, measure just above the ankle bone.